View cart “Thyroid Daily Essentials – Thyroid Multivitamin with Fish Oil, Probiotics, Vitamin D & More” has been added to your cart. Purchase this product now and earn 223 Points! You know your adrenals are important, but do you know how to effectively help treat them? We live in a world where pretty much every action throughout our day increases our demand on adrenal function. As these pressures and demands build up over time your body may begin to cripple under this constant stress. When this occurs you experience symptoms such as fatigue, weight gain, and insomnia. You double down – you increase your consumption of caffeine to fight your fatigue which causes you to get less sleep and the cycle continues. You have to treat the root cause of the problem! That includes management of your stress but also the management of your adrenal function. Your adrenals produce VERY important hormones that help your body cope with stress, the most notorious being cortisol. Whenever your body is under stress your body liberates cortisol which helps to increase blood sugar levels and activate neurotransmitters that help you focus and cope with the stress. It is, until it isn’t. Over time this mechanism which was set in place to help you actually starts to hurt you. 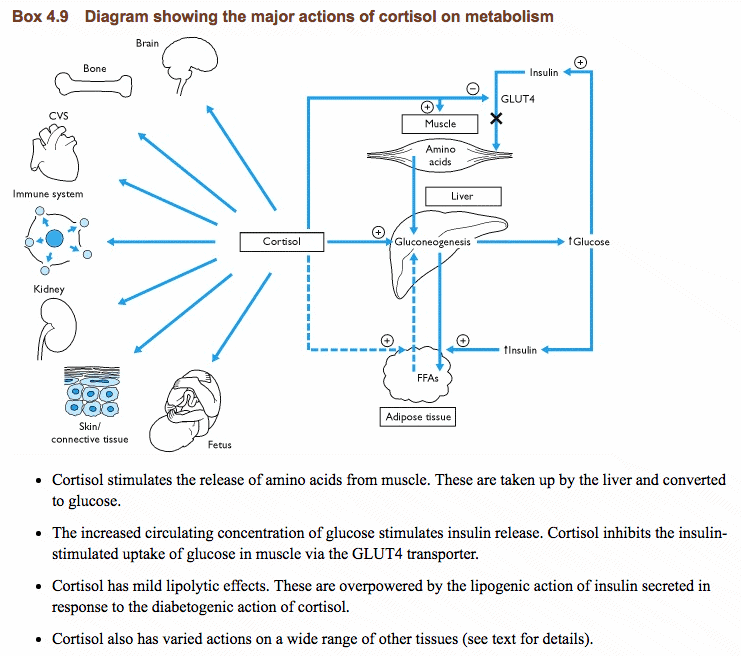 Persistently elevated cortisol will eventually cause you to gain weight, increase your blood sugar, contribute to insulin resistance and change your mood. The good news is that you CAN take steps to stop this process and reverse the damage. So how does A.R.C II fit in? A.R.C. II is the result of hundreds of hours of research and testing and includes a synergistic blend of non-GMO and vegan adrenal adaptogens. Adaptogens are powerful herbs that have been tested and shown to help your body tolerate the stress response. These adaptogens have also been shown to help normalize serum cortisol levels if used for up to 8 weeks. Adrenal fatigue is a condition that isn’t well accepted by the medical community. Because of this, it will be up to you to be an advocate for your health and an advocate for your treatment. If you have 3+ of the symptoms above there is a very high chance that you are suffering from adrenal fatigue and may benefit from treatment. The #1 treatment is always to try and reduce your stress if possible. However, that isn’t always possible and both you and I know it. What if your main stress is from your job? You can’t necessarily quit your job, at least not right away. Because of this, the #2 treatment is the supplementation of certain nutrients and vitamins that help your body to naturally cope and tolerate the stress. This approach helps alleviate the symptoms of adrenal fatigue and help you take your life back. A.R.C. II stands for “Adrenal Reset Complex II” because it is the second in line of my special adrenal formulas. Why do I need 2 different adrenal formulas? Adrenal glandulars are extracts usually bovine sourced which help directly provide your body with nutrients from whole adrenal glands. We don’t know exactly how these work, but it’s speculated that they contain hormonal precursors and perhaps even some hormones which directly help with energy production. Glandulars are very powerful and work quite well, but they are sourced from animals which makes them not suitable for vegans or those who do not choose to eat animal products. In addition, adrenal glandulars seem to work best for those with advanced adrenal fatigue or those with thyroid problems. Either way, these may not be the best option for you. Adrenal adaptogens, on the other hand, are naturally occurring herbal extracts (plant sourced) which provide a botanical alternative to adrenal glandulars. 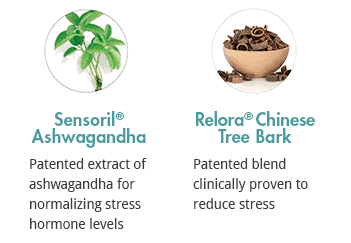 These adaptogens have been well studied and used for hundreds of years in various cultures for the treatment of stress, mental illness, and energy levels. Adaptogens work by helping your body tolerate stressful situations, by directly altering hormone levels and by increasing energy production. Adrenal adaptogens provide a more natural alternative to adrenal glandulars. My preference is to combine BOTH adrenal glandulars and adrenal adaptogens for optimal results. These therapies tend to compliment one another perfectly and naturally help to boost energy levels and help the body tolerate stress. This approach tends to work better for people with severe adrenal fatigue or those with treatment-resistant fatigue. You can combine Thyroid Adrenal Reset Complex with A.R.C. II for best results. So where does A.R.C. II fit into these 3 therapies? A.R.C. II is a powerful and potent blend of multiple adrenal adaptogens and other nutrients that specifically help your body tolerate the stress response and naturally support adrenal function. A.R.C. II contains 5 active ingredients with the most potent and prominent being Relora. 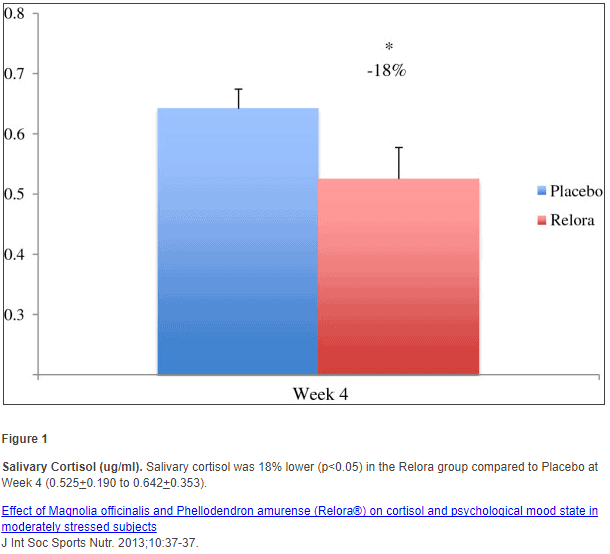 This study showed an 18% drop in salivary cortisol levels over several weeks of daily relora use compared to placebo. *Note: these results do not take into account the benefit of the other supplements also provided in A.R.C. II. The recommended dose of A.R.C. II is 1 capsule twice daily (for a total of 2 capsules per day). Take 1 capsule in the morning and 1 capsule around lunch time for optimal results. 1.) How do you take A.R.C. II? For optimal results, you should take 1 capsule of A.R.C. II twice daily. One capsule in the morning and 1 capsule in the afternoon. Do not take your second capsule after 2-3pm as it may keep you awake at night. 2.) How long do I need to take it? Adrenal fatigue is notoriously difficult to treat. Proper treatment may extend up to 6 to 12 months. Most patients who take A.R.C. 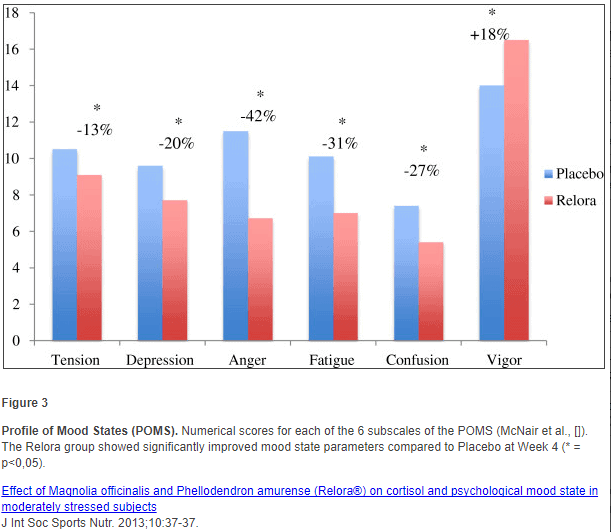 II notice an improvement in symptoms within 2-4 weeks and this improvement continues over the next 4-8 weeks. I recommend taking this supplement as long as is necessary to improve and reduce your symptoms of adrenal fatigue. Treatment length for mild adrenal fatigue is around 3 months. Treatment for moderate adrenal fatigue is around 3 to 6 months. Treatment for advanced adrenal fatigue may extend from 6 to 12 months. 3.) Are there any side effects to using this supplement? A.R.C. II is generally well tolerated with very few side effects. 4.) 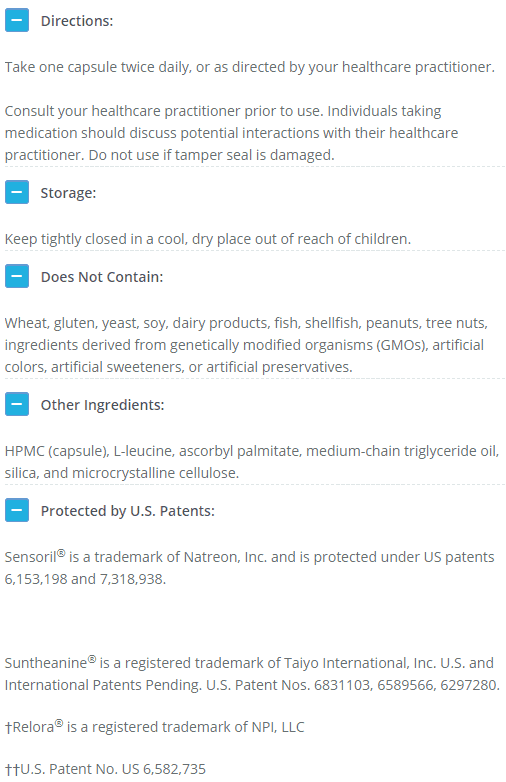 Is this product safe for Vegans? Yes, A.R.C. II is safe for vegans and does not contain animal products. 5.) Can this product be used with Thyroid Adrenal Reset Complex? A.R.C. II was designed to be used in conjunction with Thyroid Adrenal Reset Complex for patients with moderate to advanced adrenal fatigue. The adrenal adaptogens work perfectly with adrenal glandulars and may help to slow down racing thoughts and improve irritability and fatigue that often accompany adrenal fatigue. Take 1 Capsule of A.R.C. II in the morning and 1 at noon. 6.) How does shipping work? 7.) What is your Return/Refund Policy? 8.) What if I have other questions? All of our supplements coming highly researched and well tested before we introduce them to the public. Dr. Childs’ goal is to improve the health of as many people as possible and so goes through great efforts to ensure that his products contain the best ingredients at therapeutic dosages. Banaba leaf extract helps reduce inflammation by mediating PPAR gamma, MAP K, NK-kB and other signal transduction factors. I am not able to take until I can be sure this product will not over activate my adrenals . I am experiencing high cortisol level all day and night and have had insomnia for the past 5 months (sleeping very little and sometimes not at all ) The concern is that my adrenals are over working and an adaptogen may make this worse . I would love someone that is medically qualified to respond to give me the confidence to take this product . Hi Cathy, Sorry to hear about your situation! While we can't give you professional medical advice (only your doctor can do that), we can tell you that one of the ways to treat high (and low cortisol) is with the use of adrenal adaptogens which is what this product contains. We also have free resources on our website that you can use which highlight the clinical studies on ingredients such as Ashwagandha. If you don't feel comfortable using the product we can also help you with a return. Please let me know if you have any further questions! I really like these products and they seem to be helping me! Hi Jacquelyn, Glad you think so :) Thanks for sharing. Hi there, You are very welcome :) Thanks for sharing. I have PCOS and this helped! I was able to decrease my very high adrenal levels due to PCOS and I credit the Adrenal Reset supplements! I do not struggle with weight or thyroid management, but my PCOS had unforeseen affects on my adrenals. I also try to add ashwaghanda powder to my tea, but when I just don't have time, these make me feel supported as I run out the door. I take morning and night! Hi Grace, Thanks for sharing and I'm glad this supplement is working well for you!